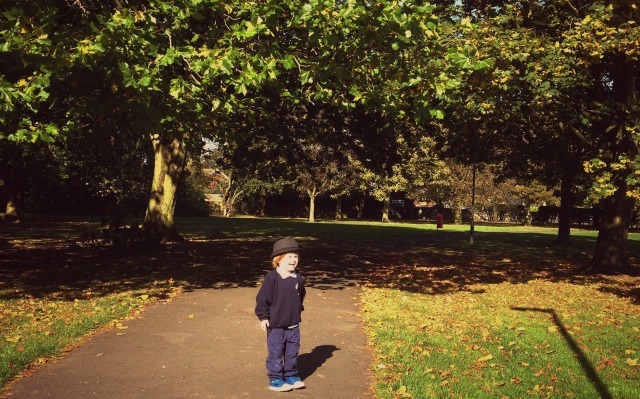 For three whole weeks now Lucas has been at pre-school, every afternoon we make the walk down to the school and he happily runs into the classroom without a backwards glance. It could have gone either way and I’m so glad that he goes in without a care in the world. I am also glad that when he see’s me at the door ready to pick him up he shouts ‘Mummy’ and runs towards me with a big grin on his face, it’s nice to know he misses me as much as I miss him. As we wait outside to go in now the parents and children are starting to recognise each other. The children no longer wait nervously, holding on to whoever has brought them in. They run around and laugh with each other, the little girls hug and chatter, Lucas runs off to find puddles and mud. I love to see him enjoying it, it’s such a big adjustment and he is so tired after his days in but I can already see how much he has come on. He doesn’t tell me much about his days; I usually hear what snack he has had and which story they have read. On very rare occasions we will get one of his creations to bring home, I gather he isn’t too keen on sitting and drawing. Some of them come out with something new every day; Lucas comes out and tells me he’s played with trains. I’m looking forward to out first parents evening so I can hear what he is like in the class, no doubt completely different to how he is at home! Each day when I get his uniform ready he asks me ‘going school?’ and points out his school badge on his shirt. Somehow we have made it through the first few weeks without any illness. 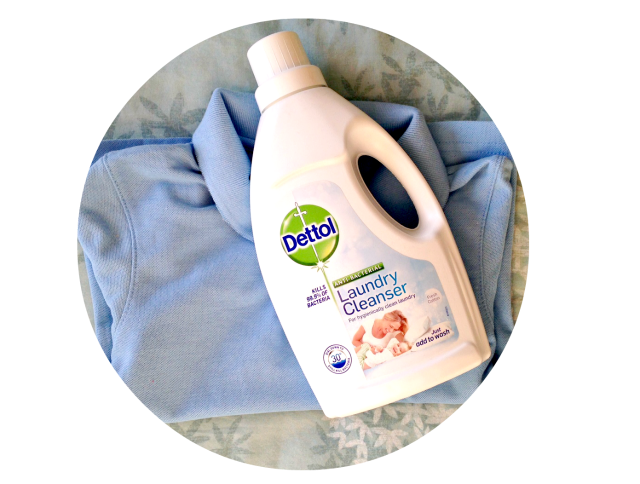 Part of that I’m sure is our bracing walk to and from school but we’ve also been trying out Dettol Anti-bacterial Laundry Cleanserwhen washing his uniform. We are all encouraged now to wash our laundry at lower temperatures, which I regularly do but including a disinfectant will ensure that bacteria is kept at bay and hopefully reduce the dreaded school infections. So far so good for us and the cleanser has been kind to my boys sensitive skin too which is a bonus. This has become part of our washing routine now, great for school uniform and all the other mess my children get into. This has been the start of a whole new chapter in his life and from now on school, teachers, friends will all be part of his world outside our little family. It’s a little scary to let go and watch them become part of something new but all worth it when I can see how much he loves it; that little bit of independence has been so good for him. However, I still look forward to picking him up every day and having him home again. Disclaimer – We were sent the Dettol Anti-bacterial Laundry Cleanser for review, all opinions are my own.